Size: -- SELECT SIZE -- 6-9" 9-13"
Caldwell XLA Bipod - Pivot. 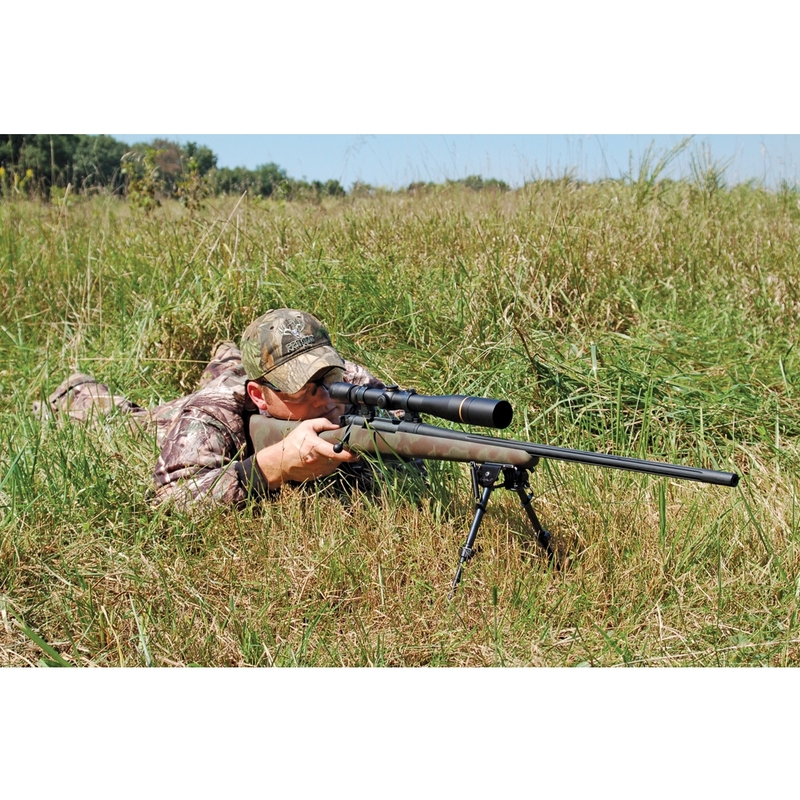 In the real world of hunting, the chances of the ideal shot opportunity occurring while on a level ground are slim-to-none. 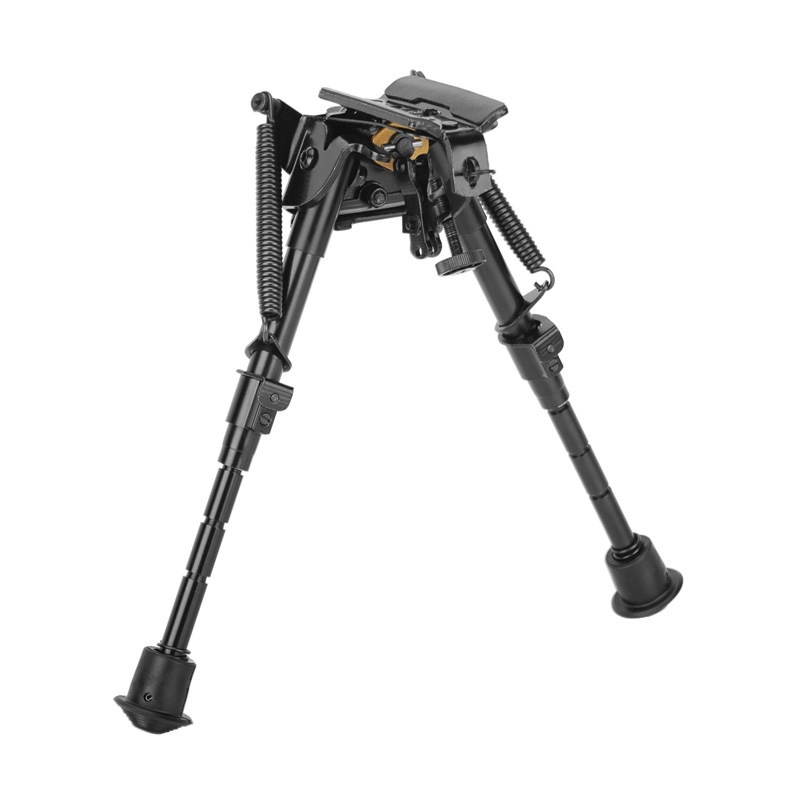 A pivoting bipod allows the shooter to compensate for ground that is unlevel by up to 20 degrees. The lower portion of the bipod pivots independently from the upper stock mount, allowing the firearm to be quickly leveled on uneven ground. The tension knob can be adjusted to control the resistance of the pivoting motion. The Caldwell XLA Bipods provide a stable shooting support that conveniently attaches to almost any firearm with a sling swivel stud. The lightweight aluminum design adds minimal weight and deploys quickly, with legs that instantly spring out to the shooting position with the touch of a button. The legs are notched for easy indexing to a specific height. There is a connection point for sling attachment and multi section legs that collapses forward allowing for convenient carry of the firearm. Soft rubber feet provide enhanced stability, while the padded bipod base protects the firearm's forend.